Maths is the brand's best selling 2 in 1 satchel bag, here in silver metallic sheep washed leather with a crackled look. It is reversible, inside out the flap is in beige velvet and the body in beige/grey cotton canvas. Poésie is a minimalist baguette-style handbag, here in silver metalic sheep leather washed for a crackled effect. The little "plus" of this bag is that it is modular thanks to a large interchangeable bi-colored shoulder strap. You can adapt it to your needs by putting the shoulder strap of your choice or no strap at all, and wear it as a pouch. Its magnetic flap allows quick closing and opening. On the back of the bag, there is a flat pocket, held closed by a magnet. Available in 2 sizes: Poésie 21 x 16 x 6,5 cm or Grand Poésie 26 x 17,5 x 8,5 cm. 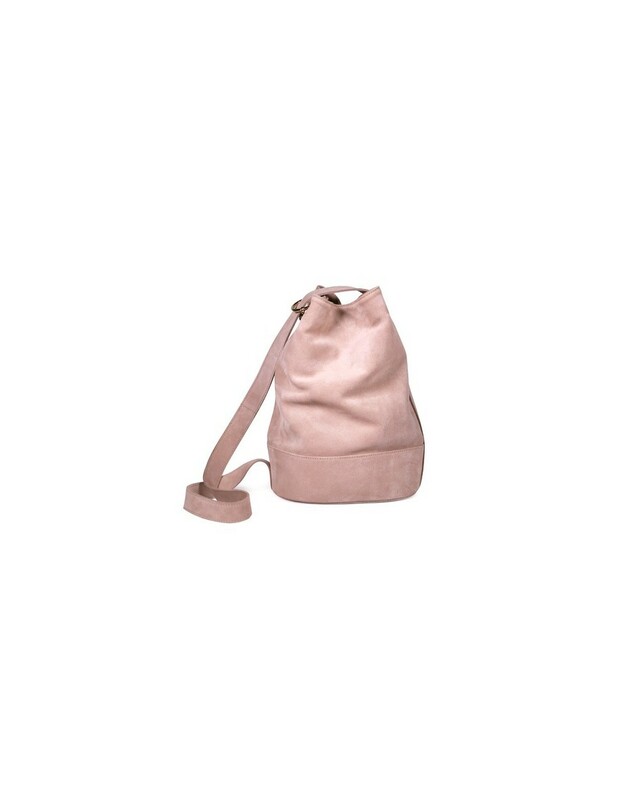 Marin is a modular bucket bag made of silver metalic sheep washed leather with a crackled look. You can wear it at the shoulder like a bucket bag, but you can also undo the snap hidden under the shoulder strap to slip it on your shoulder like a sailor's backpack. There is a magnet top closure, coton lining inside and a pocket for the phone and a zipped small pocket. Maths is the brand's best selling 2 in 1 satchel bag, here real Python leather in a grey and white color called Coldroy, this pattern is naturally present on snakes, so each bag is unique. The body of the bag is made of grey leather. It is reversible, inside out the flap is in a silver metalic leather and the body in pink canvas. Rédaction is 24h bag, made of a very resistant white cowhide. 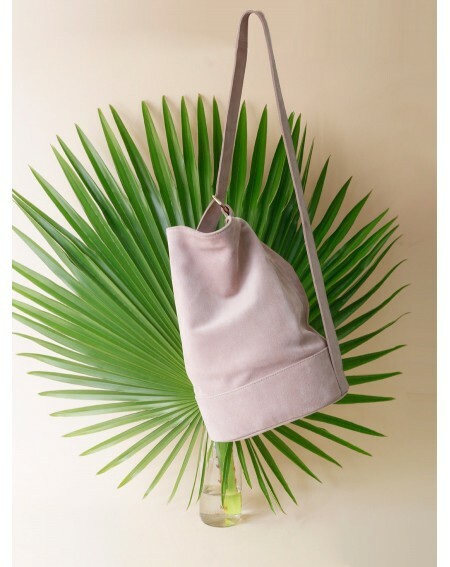 Marin is a modular bucket bag made of a very soft light pink suede leather. 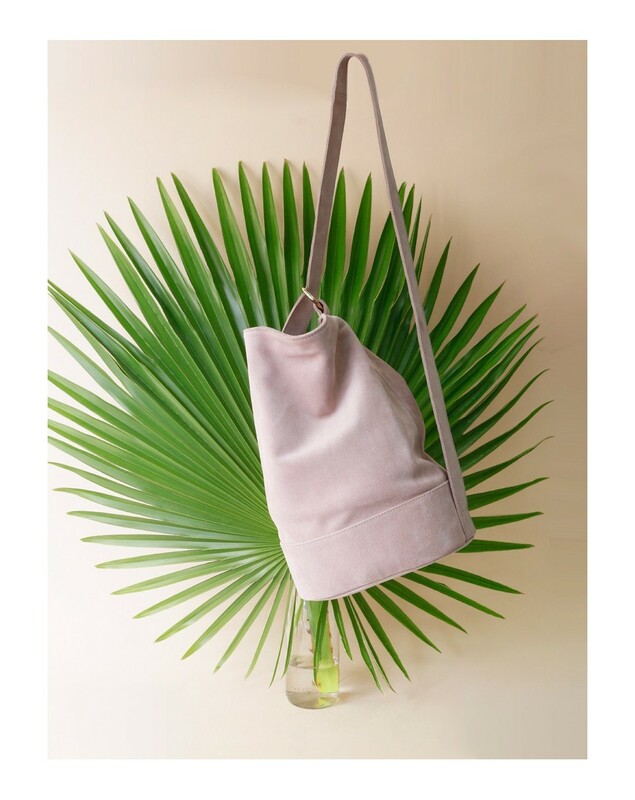 Théorie is a lovely bucket bag made from a light pink croco printed calfskin. It is a classic design twisted with chic details: small golden loops at the front, hand stitches in the base of the drawstring, and and inside leather purse. Diameter of the bottom 16 cm, height 25 cm.